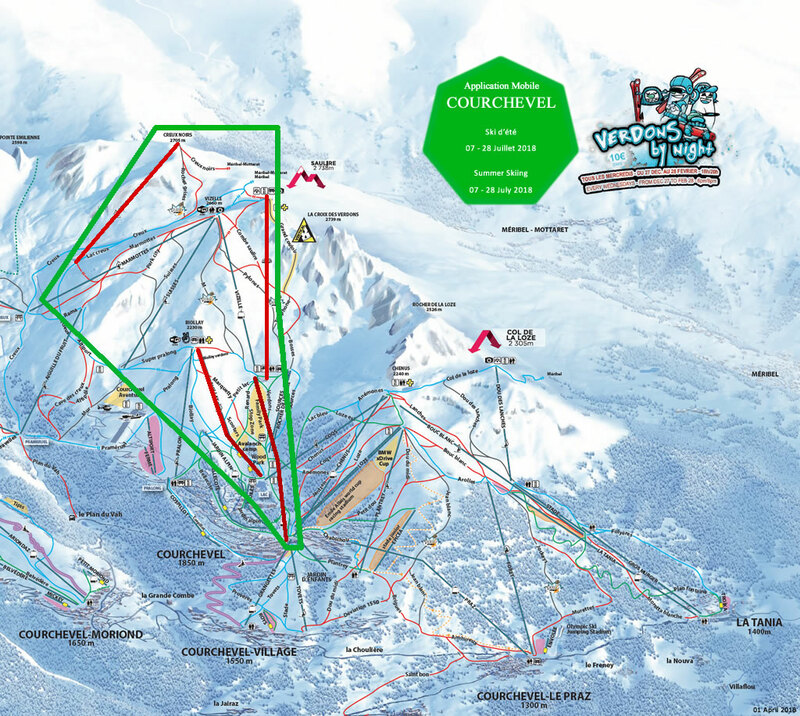 The whole of the Courchevel and La Tania ski area area is open until (and including) Sunday 15th April as originally scheduled (some duplicate lifts may close from Monday 9th April). The opening of pistes will of course be dependent on snow cover – see the map above. The 3 Vallées links will be operational until (and including) Sunday 22nd April (via the Saulire link only from April 16th to 22nd). Note that the Jardin du Alpin and Grangettes Gondolas will be open until (and including) Sunday 15th April. They will close in the evening from 17:00 from Monday 9th to Sunday 15th April. 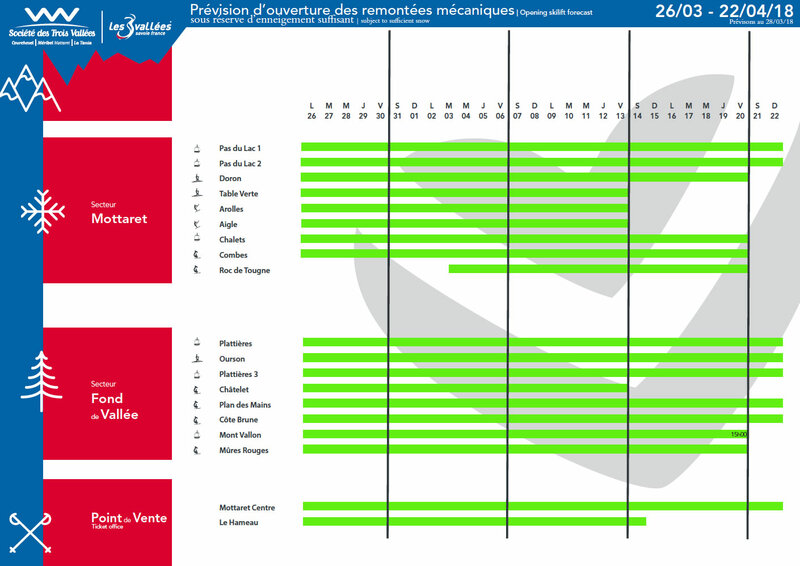 Bus Timetables for the end of season here – there is a La Tania to 1850 bus in the last week this season!